Comment: In her commentary on this text, Donna Schaper shares her own experience of ritualizing an act of hope. She suggests that such action gives us “a way to touch the prophetic promise of God.” (Feasting on the Word, Year C, Volume 4, p 199) The promise described in this passage from Joel is a vision of life where there is famine, a vision of light where there is darkness, a vision for a future that is full of hope. This text presents an invitation to share stories where people have ritualized the act of hope. One such story belongs to The Librarian of Basra– an Iraqi woman who saves thousands of books from her town’s library before it is destroyed by war. Though the story ends with the darkness of war still looming, the light of hope breaks through with the librarian’s visions of a future of peace and a new library. Comment: “I have fought the good fight, I have finished the race, I have kept the faith.” As we hear those words, different parts of Paul’s story might come to our minds. It’s hard to think about Paul’s story and then so quickly transition to his current situation, where he is all but abandoned by his followers, imprisoned, and awaiting death. Balto’s story is not unlike the story of Paul presented in this passage. 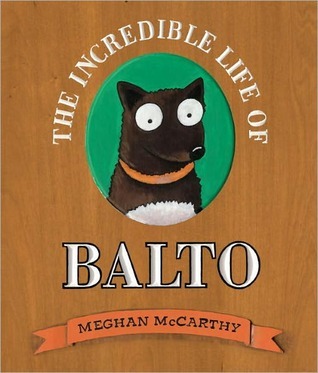 Balto goes from a nobody, to a hero, to an imprisoned dog. Despite the movement in their lives from the highest of highs to the lowest of lows, neither Paul nor Balto’s stories end in hopelessness, rather both will be rescued and saved. Comment: “…for all who exalt themselves will be humbled, but all who humble themselves will be exalted.” As you reflect on this passage, invite the children of your church to explore the differences between humbling and exalting oneself. Mufaro’s Beautiful Daughters is a fine example of one who exalts herself being humbled and one who humbles herself being exalted. As we read these stories we might consider which character we identify with more. In doing so, please remember as I noted in 2010, that “whether we humble or exalt ourselves, we all need to be reminded of God’s love for us and for others.” (http://storypath.upsem.edu/lectionary-links-sunday-oct-24/) We are reminded of that love even as we read of the outcome for Mufaro’s daughters, where his love for both never waivers. The Lectionary Links this week are written by regular contributor Noell Rathbun-Cook. Lectionary Links: Sunday, October 27, 2013 by Storypath is licensed under a Creative Commons Attribution-NonCommercial 4.0 International License.